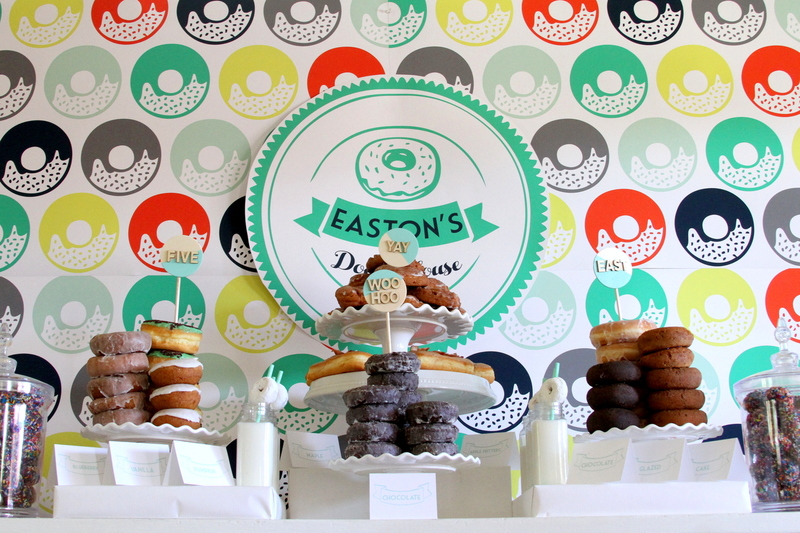 When I told my nephew Easton that I’d throw him a birthday party and that he could choose any theme in the whole world, he said “DONUT PARTY” without skipping a beat. 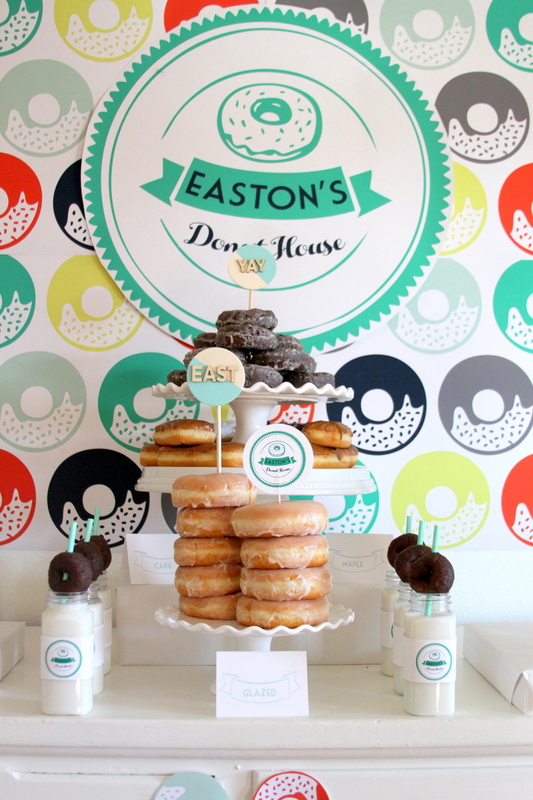 A man who knows his own mind- I love it. 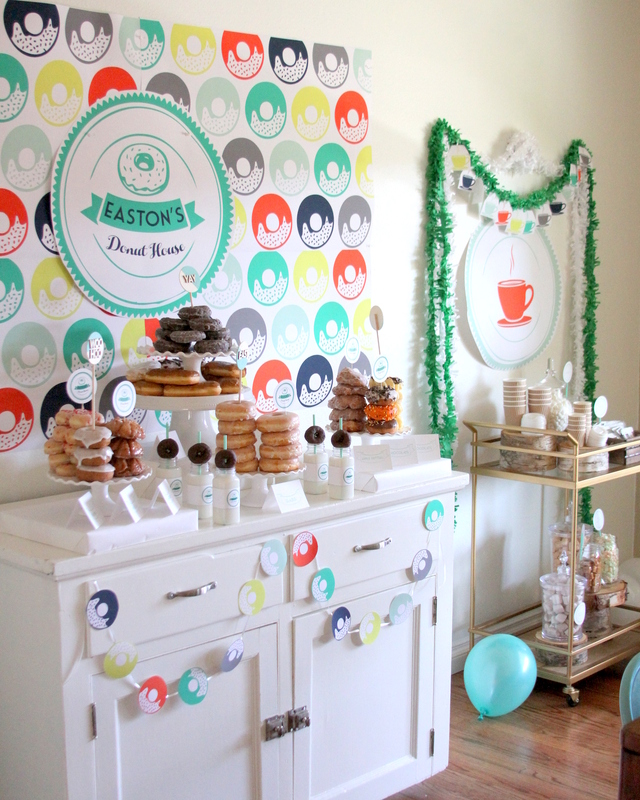 And I loved putting this party together for him (even though it has taken me, ahem, more than a year to share it). 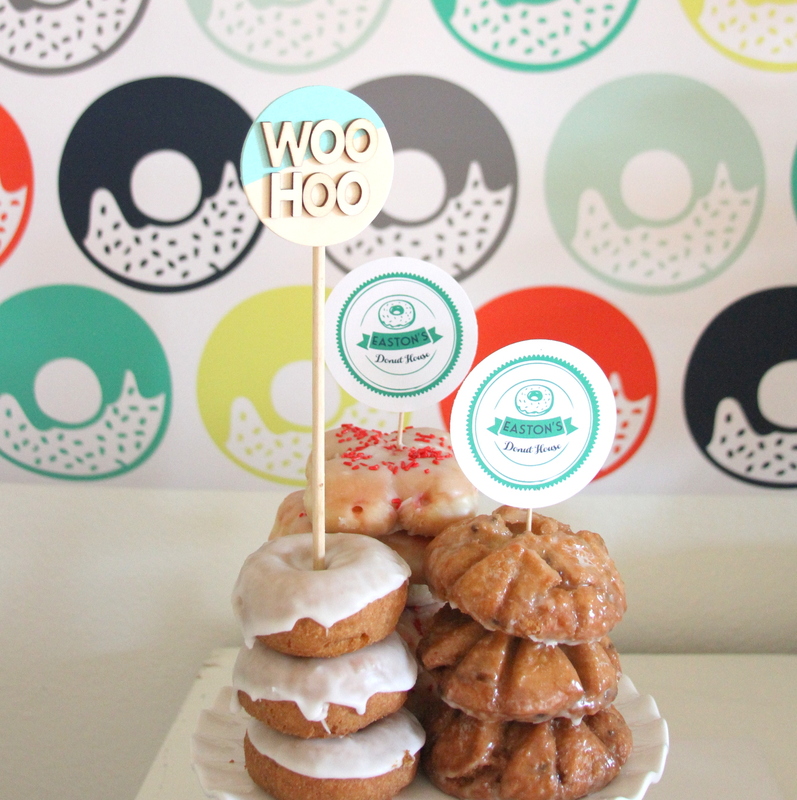 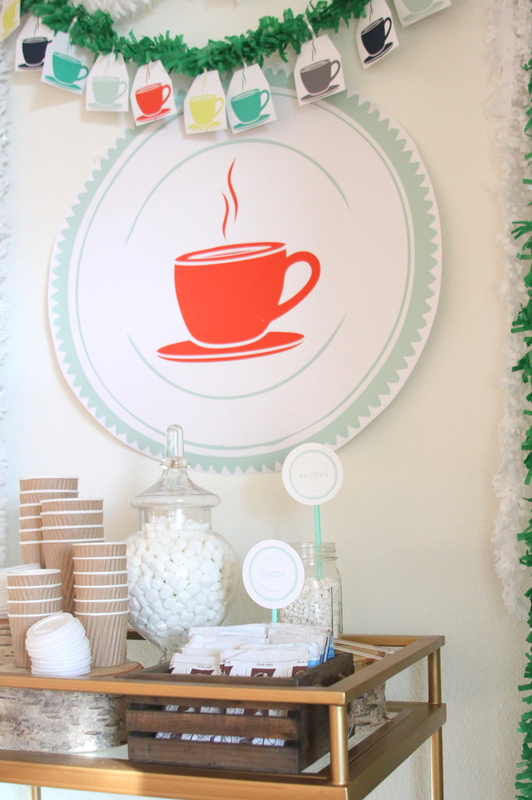 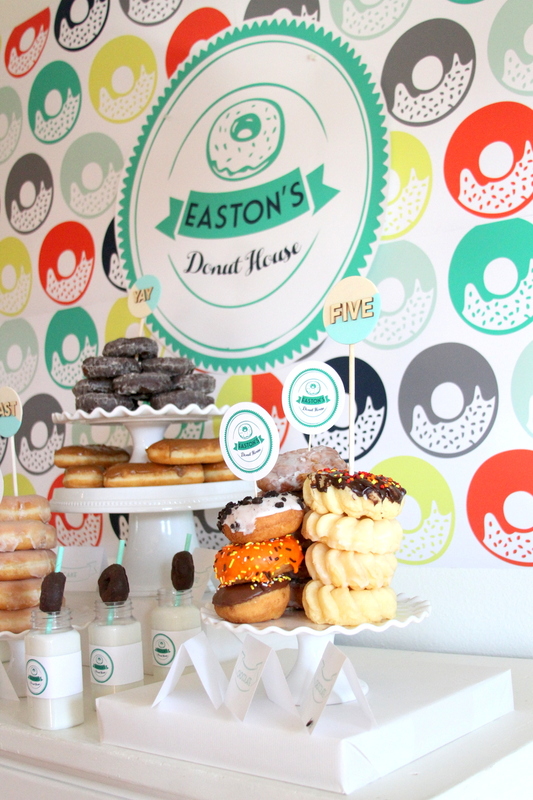 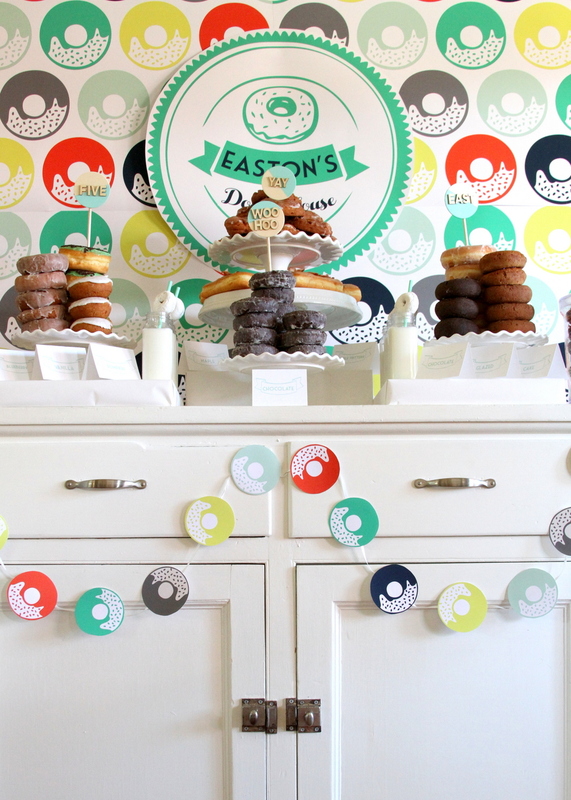 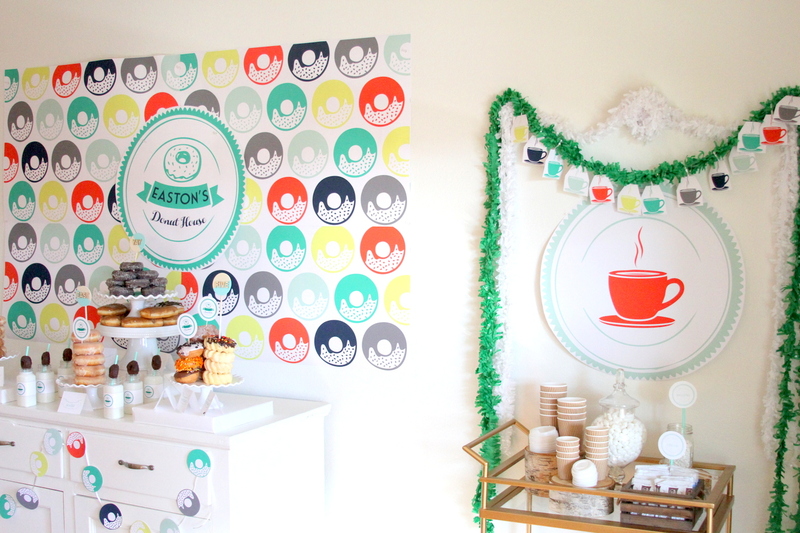 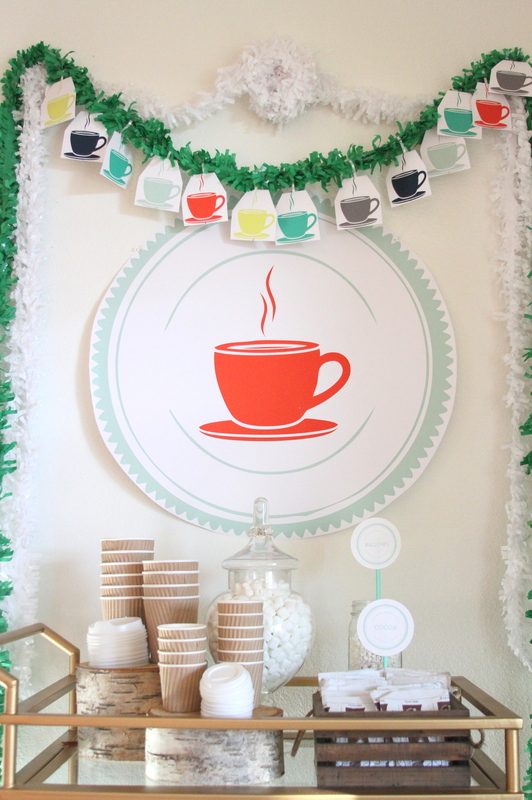 It was such a bright and cheerful party- filled with donuts, donuts and more donuts! 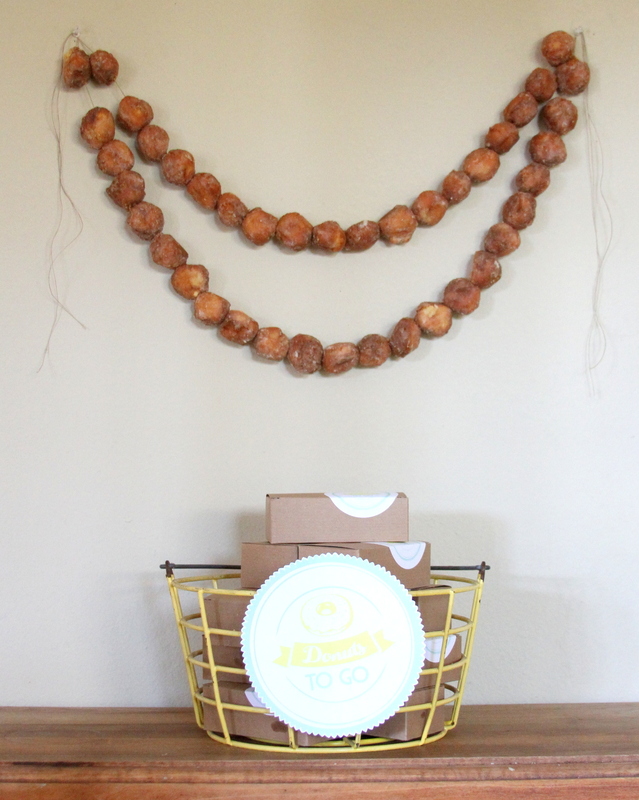 We even made a donut hole garland! 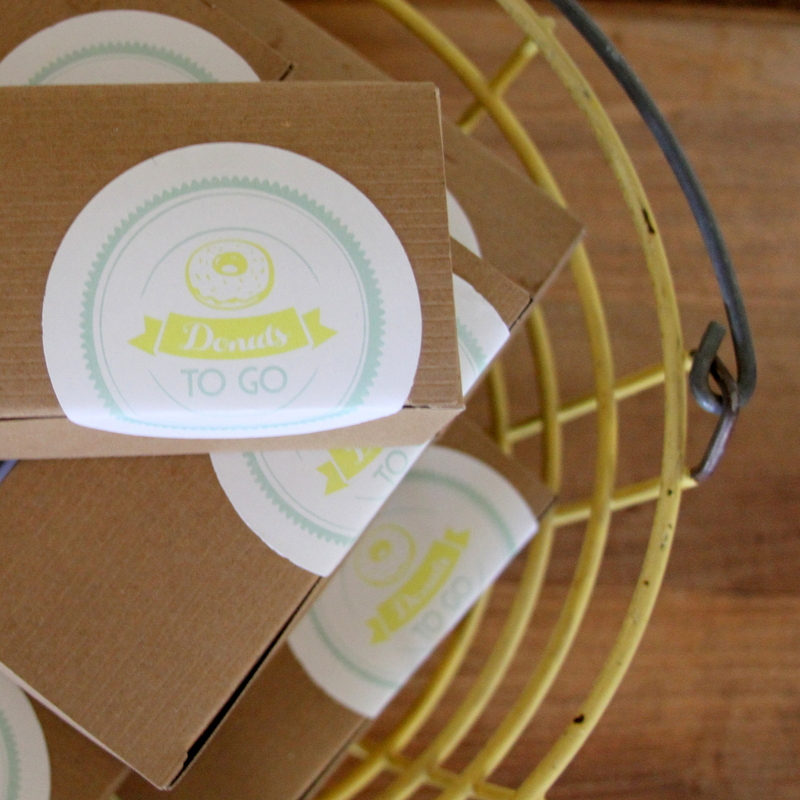 And made little favor boxes of, you-guessed-it, donuts to go. 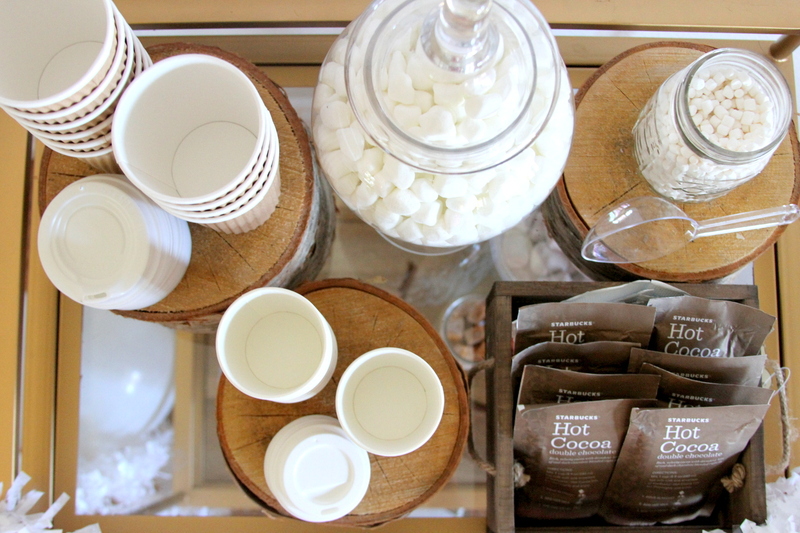 Easton also requested hot chocolate to accompany the donuts, and I was more than happy to oblige with a little Cocoa Station. 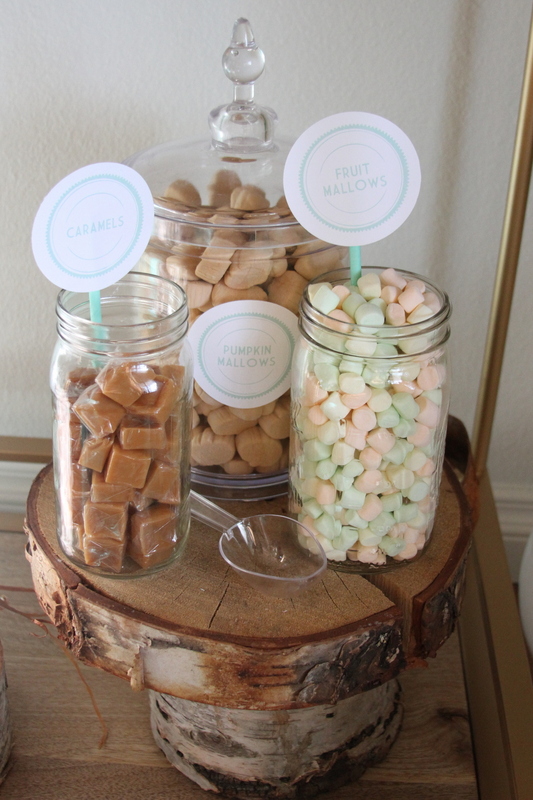 I will be honest, the plethora of kid-level marshmallows might’ve resulted in more than one sugar crash later that day. 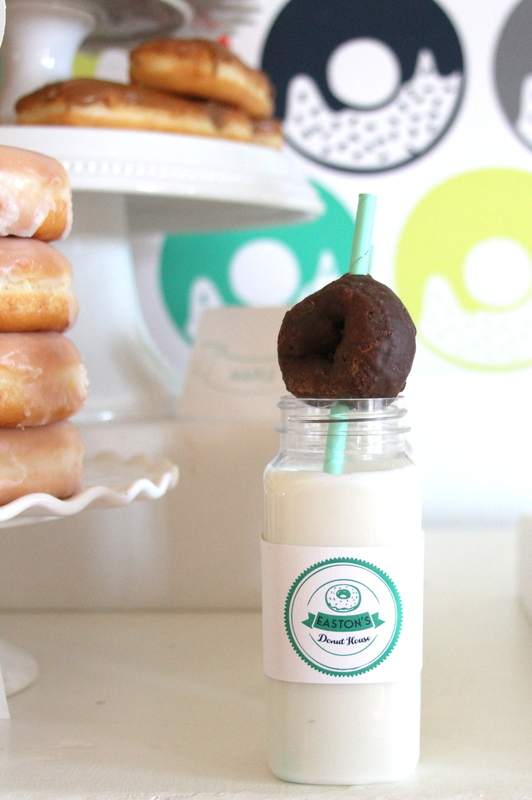 But what’s a good party without a donut-and-marshmallow induced sugar crash? 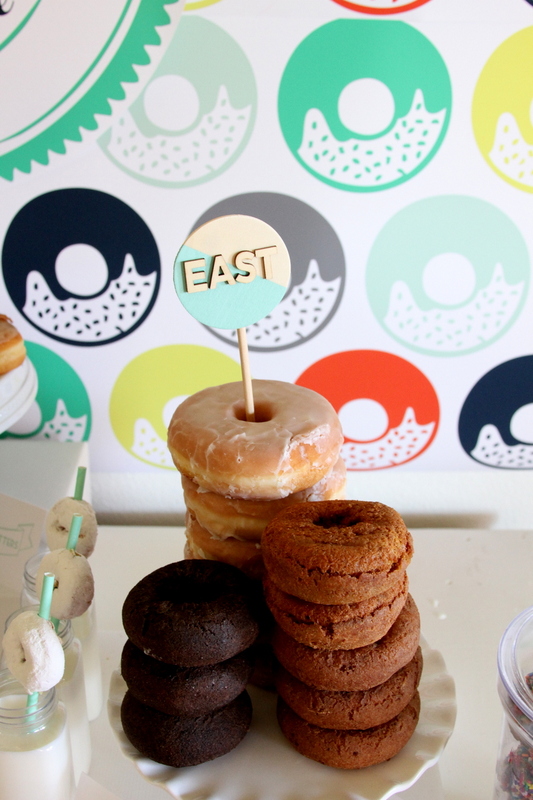 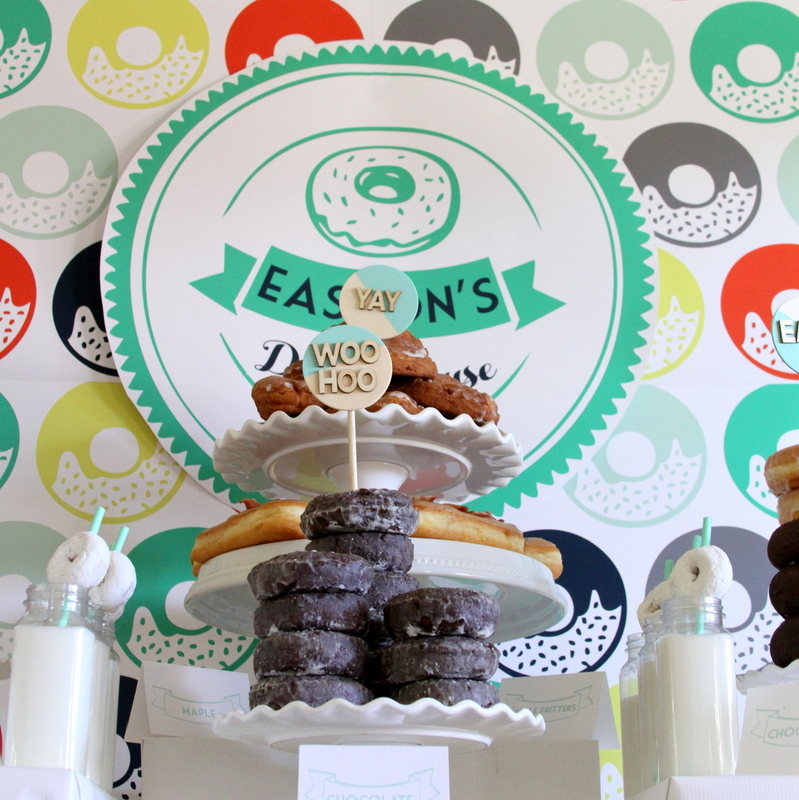 Seriously, just SUCH a great donut-filled day to celebrate East-y!